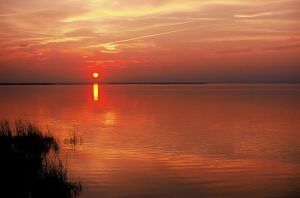 La Albufera is 15km south of Valencia, famous for its freshwater lagoon; it is split from the sea by sand dunes and pine forests. This area is home and hotel for many indigenous birds and migrating birds, all in all over 300 species can be seen in this nature reserve. Benicassim is along the Costa del Azhar and it is mainly a place where Spanish people go on holiday. Here its beach life all the way, though there is the Aquarama water park and several golf courses and not to forget the pumping nightlife. However, if you want to escape and breathe even fresher air, 6km inland from Benicassim is the mountain range, Desierto de Las Palmas, where at its core lays a Carmelite Monastery. If you want incredible views try climbing Monte Bartolo at 728m. The beach towns along the Costa Blanca are very accessible due to a regular train connection from Valencia’s central train station which goes to Gandia, stopping at many towns along the way. In summer these beach towns get quite crowded but they are great fun if you are looking for a lively place with great beaches.